Cecelia Dolores Norton Bumbarger, a 40-year resident of Decatur, Alabama died from complications of dementia on Thursday, March 21, 2019, surrounded by her children and other family at her home. 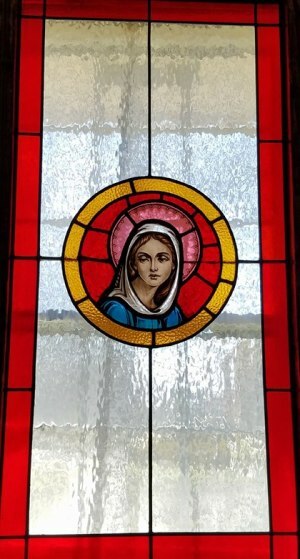 A Rosary and Wake (Visitation) will be held at Annunciation of the Lord Catholic Church on Spring Avenue, Decatur, AL 35603, on Monday, March 25, 2019, from 10:30 a.m. until 11:00 a.m., with Rosary from 11:00 a.m. until 12:00 p.m. and Mass immediately following with Father Bruce Bumbarger, Celebrant. Interment will be in Decatur City Cemetery. Dolores was born April 6, 1928, to Raymond and Margaret (Cinquegranna) Norton in Swissvale, PA. During the 1960's and 1970's, she was an active member of St. Theresa of Liseux Catholic Parrish in Cleveland, TN. Dolores was a founding member of the Blue Army at St. Theresa, as well as a member of the Altar Society, and a CCD instructor for First Communicants. Her service to the community included being a volunteer for Meals on Wheels and, together with Mildred Daniel, began what became known as the White Elephant Shop, a community thrift store in the low-income neighborhood. Dolores was preceded in death by her husband, Thomas Bumbarger (2008 @ 82), her two sisters, Patricia and Margaret, and her brother, Raymond. She is survived by seven children, Joyce Lister (Larry), Charmaine Leonard, Scott Bumbarger (CLee), Father Bruce Bumbarger, Roanne Whitlow (Bruce), Brian Bumbarger, and Lorinda Bumbarger; one sister, Gloria; 16 grandchildren; 39 great-grandchildren; and seven great-great-grandchildren. In lieu of flowers, the family respectfully requests memorial donations be made to Hospice of the Valley, P. O. Box 2745, Decatur, AL 35602, and/or Resurrection Catholic Chapel, c/o Deacon Rick Chenault, P. O. Box 550, Moulton, AL 35650-0550.